Potion Packages designed to suit your new healthy ritual! A DETOX PACKAGE designed to flush out the toxins from your internal body systems. Contains 3 detoxifier Cold-pressed juices as companions to your Breakfast, Lunch & Dinner. A DIGESTIVE AID PACKAGE designed to enhance digestive power, combats indigestion & bloatedness. 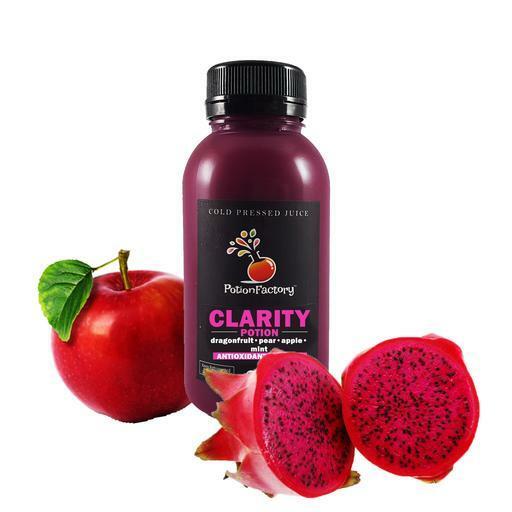 Contains 3 Digestive-Aid Cold-pressed juices as companions to combat digestion problems. A WEIGHT LOSS PACKAGE designed with low calorie green juices to assist in weight loss plans. Contains 3 Low-Calorie Green Cold-pressed juices as companions to assist in weight-loss. A COLD BUSTER PACKAGE designed with High-Vitamins-content juices to enhance immune system and combat cold & flu. Contains 3 Cold-Buster Cold-pressed juices as companions to enhance immune system and combat cold & flu. Our SPECIAL JUICE CONCOCTIONS tailored to fit your lifestyle in EVERY way! Perfection at its simplest form. Single ingredient Cold-Pressed Juices to simply liften up your everyday! Thinking of adding FUN & HEALTHY elements into your parties? Nothing compliments better than our spellbinding concoctions! 10 Bottles of Selected Cold-Pressed Juices! 20 Bottles of Selected Cold-Pressed Juices! 30 Bottles of Selected Cold-Pressed Juices!